Final Days for Crafthaus’ Kickstarter! 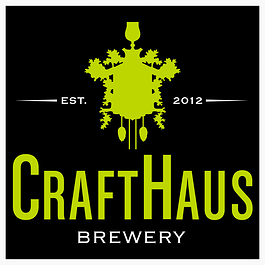 Crafthaus currently has $13,540 pledged of their goal of $20,000, or about 68% to goal. There is only 9 days left to raise another $6,460. We are fans of all the great local businesses here in Las Vegas, especially those that promote craft beer, whether they be bars or retailers. In the case of breweries, we get exceptionally excited. I’ve agreed to host an “All About Beer” class at the brewery once they open. For a donation of only $30, I’ll take you on a tour of Crafthaus’ brewery and discuss how beer is brewed. We’ll sample the beers and discuss sensory evaluation and food pairing. Of course, there are plenty of other awesome gifts for other donation amounts, like entry into the Propagation Program. For more information, read my interview with founders Dave and Wyndee Forrest here, and visit their Kickstarter campaign here.